The hosts are perfect. The apartment is very neat and clean. It is was quiet. The small court yard peaceful and inviting. Easy access to city centre by tram or 30 min walk. I can very much recommend. we loved staying here! we had everything we needed for the short stay. such a welcoming host. the house was perfect for the 3 of us. we had a car so we could easily move around, i dont know how it is to visit using only transportation. merci pour tout nathalie! It's home from home. Owners are extra special and cover everything you need to make your stay in Nantes as wonderful as ever. L'emplacement était idéal et sécurisant, Nous avons beaucoup apprécié Nathalie qui fait tout pour que ses locataires passent un excellent séjour ce qui a été notre cas. emplacement très calme. Bien situé avec les transports collectifs à proximité. J'ai adoré le lieu, le côté authentique, la cours intérieur, la déco. La gentillesse de Nathalie. Lieu chaleureux et convivial. On ressent une entraide entre les gens et ceci est un bel exemple. Le calme, les commodités des transports en commun sur un grand axe , la petite cour, proximité de petits commerces. Lock in a great price for Appartement sur cour nantaise – rated 9.4 by recent guests! 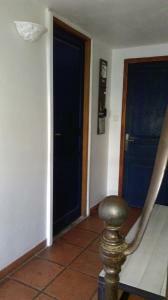 Appartement sur cour nantaise is located in Rezé and offers barbecue facilities and a terrace. This apartment also has free WiFi. The apartment is located on the ground floor and has 1 bedroom, a flat-screen TV and a fully equipped kitchen that provides guests with a microwave. The apartment also has a bathroom with a shower. Nantes is 2.2 miles from the apartment, while Pornic is 30 miles from the property. The nearest airport is Nantes Atlantique Airport, 5 miles from Appartement sur cour nantaise. This property also has one of the top-rated locations in Rezé! Guests are happier about it compared to other properties in the area. This property is also rated for the best value in Rezé! Guests are getting more for their money when compared to other properties in this city. When would you like to stay at Appartement sur cour nantaise? This apartment has a cable TV, kitchenware and toaster. House Rules Appartement sur cour nantaise takes special requests – add in the next step!